Gwynnie Bee Holiday Deal : Save $10 on Gwynnie Bee gift memberships + free trial month of this clothing rental subscription for sizes 0-32! Gwynnie Bee Memorial Day Deal : Save 25% on first paid month + FREE trial month of this clothing rental subscription! Gwynnie Bee Mother’s Day Deal : Save $10 on Gwynnie Bee gift memberships + free trial month of this clothing rental subscription! LAST DAY! Save $10 on Gwynnie Bee gift memberships + free trial month of this plus-size clothing rental subscription! Ends Soon! Save $10 on Gwynnie Bee gift memberships + free trial month of this plus-size clothing rental subscription! Save $10 on Gwynnie Bee gift memberships + free trial month of this plus-size clothing rental subscription! Today Only: new members get a Gwynnie Bee free trial month + free lipstick. Today Only: new members get a Gwynnie Bee free trial month + $10 off second month. Previous members take 50% Off! Today Only: new members an extra item in your Gwynnie Bee free trial month + fit guide! Gwynnie Bee Mother’s Day Deal: Save $10 on gifts + free face mask gift with purchase! Two Days only : Try the plus-size clothing rental subscription service Gwynnie Bee free for 30 days, plus get a free cosmetic bag AND get $10 off your second month! Last day! 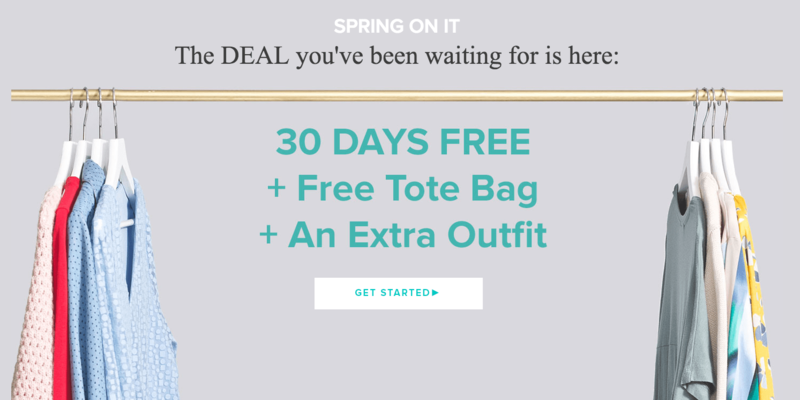 : Try the plus-size clothing rental subscription service Gwynnie Bee free for 30 days, plus get a free cosmetic bag AND get $10 off your second month! Today only : Try the plus-size clothing rental subscription service Gwynnie Bee free for 30 days, plus get a free cosmetic bag AND get $10 off your second month! 3 Days ONLY: Try the plus-size clothing rental subscription service Gwynnie Bee free for 30 days, plus get a free tote bag + item upgrade. Tried & canceled? Come back for the free trial + $10 off first paid month! Try the plus-size clothing rental subscription service Gwynnie Bee free for 30 days, plus current member offers! Try the plus-size clothing rental subscription service Gwynnie Bee free for 30 days, plus get a fun matte lipstick for free!